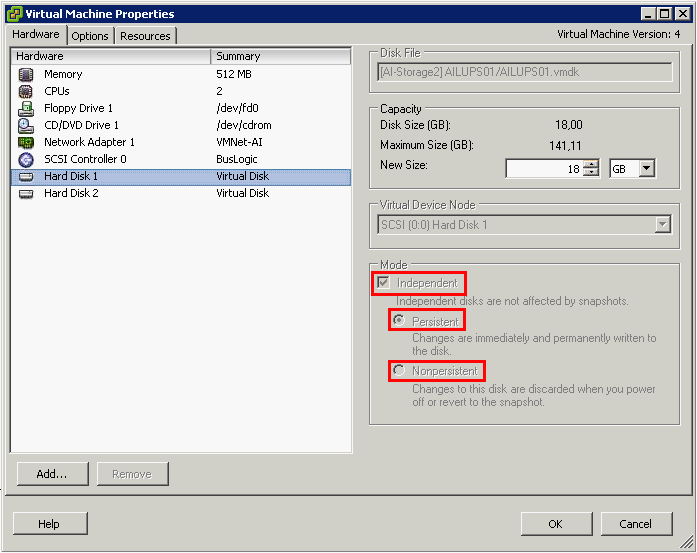 7815: Acronis Virtualization: Backup of Virtual Machine Fails with "Failed to open the virtual machine"
Message: Cannot obtain information on the virtual machine's independent persistent disks because the machine is not powered off at the moment. There is no possibility to snapshot independent disks when they are turned on. This is an ESX limitation. For Acronis Backup & Recovery: Install the Acronis Agent for Windows or Linux into the actual virtual machine, after which the machine will appear under Physical machines. You may experience a similar issue with mapped raw disks. In this case, the first step to troubleshoot would be to try creating a snapshot the ESX console and see if it works.